Just because you are eating healthy doesn't mean your food has to be bland and boring. This Thai inspired broccoli salad bowls from GI 365 is packed with nutrition and flavor. 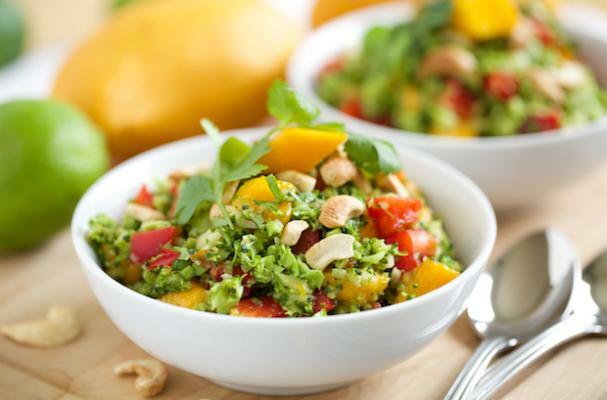 Chunks of sweet mango, bell peppers and cashews are mixed with broccoli and paired with a chili lime dressing. This meal is totally vegan. For an extra boost of protein, add a slice or two of grilled tofu.